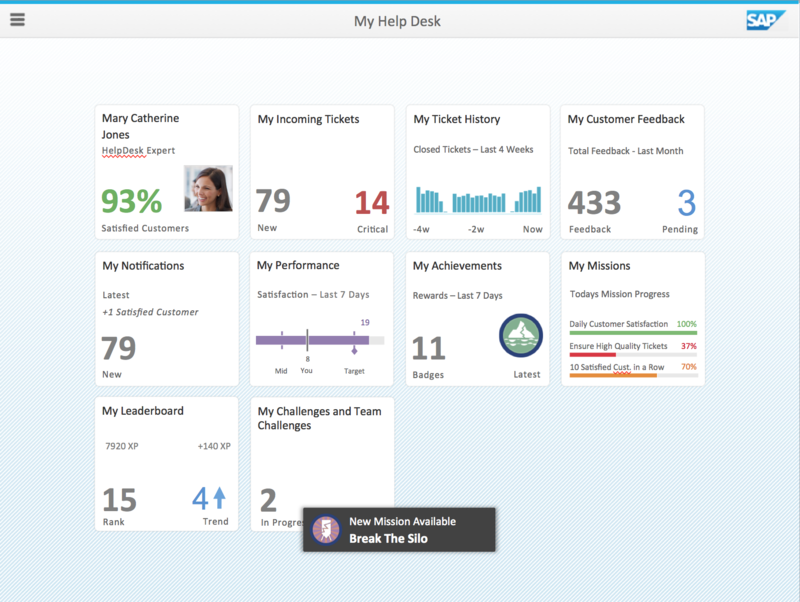 Manage points, badges, and missions from the gamification workbench. Adapt them during runtime, and perform real-time analytics. 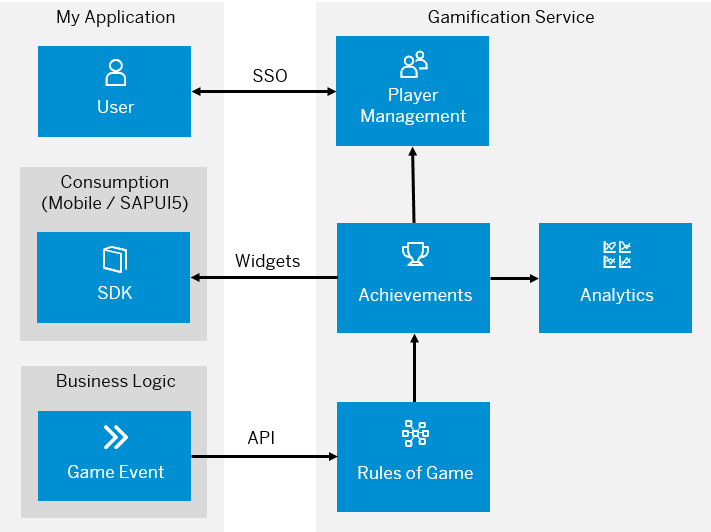 Integrate gamification mechanisms into new or existing applications using open source code and out-of-the box single sign-on. Web-based IDE for modeling game mechanics and rules, it is the central point to easily administer points, badges, rules, missions. Real-time processing of sophisticated gamification concepts involving time constraints and cooperation. Includes built-in runtime game analytics for continuous improvement of game designs. Technical endpoint to receive gamification relevant events and perform user-management tasks from the gamified application. Simple UI integration into gamified applications by using existing SAPUI5 widgets. 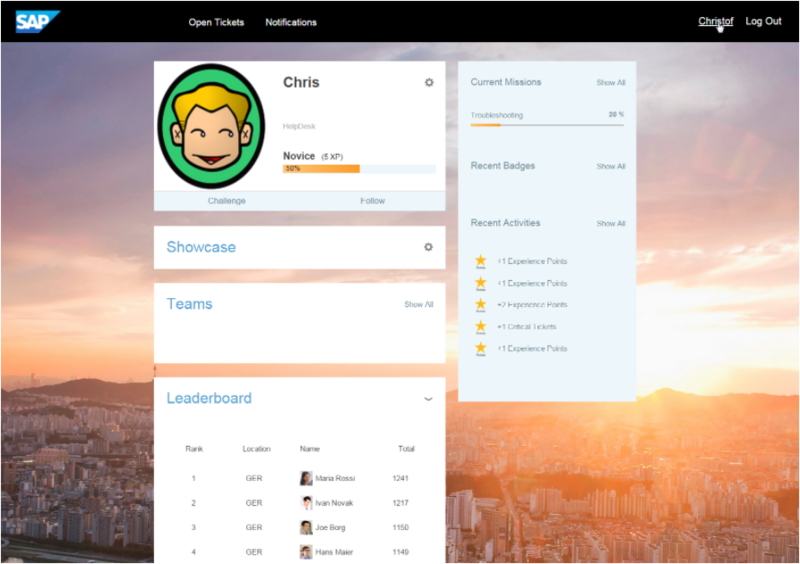 The SAP Cloud Platform Gamification service includes an online development and administration environment, which lets you implement and analyze gamification concepts. It includes underlying gamification rule management, time constraints, complex nested missions, and collaborative games. Use the built-in analytics module to gather advanced analytics on player behavior, enabling continuous improvement of game concepts.